Summer and good skin sound like a myth but is not. In summer our skin gets through so many things like tan, sunburn, sweat, etc. To protect our skin we have to take care of it. We have made it easy for you. Follow some easy summer skin care tips and protect your skin from any kind of damage. Last but not least enjoy summer having healthy skin. The heat of summer often brings the desire to get your skin squeaky clean but overuse of anything is not good. Some type of harsh chemicals present in face washes can make your skin look dull rather than clean. So, avoid washing face so many times. You may think that winters are over now so no need to buy and applying a moisturizer. But you are wrong, moisturizing is an essential part of any beauty regime. Look for a moisturizer which suits your skin type. For any beauty regime or treatment to work on your skin, it needs to be clean. To clean the skin you need to exfoliate it 3 times a week. Use an exfoliator with mild particles and gently scrub your face. It is very essential in summers to hydrate your skin while you are out in the sun. Keep a face mist with you and spray whenever you feel like. It really helps. You can also spray some rose water to hydrate your skin. In summer the most important tip or part of the day is to apply sunscreen to protect our skin from the harsh UV rays of the sun. These rays can damage our skin from inside as well as from the outside. So never step out in sun before applying sunscreen. In summer aloe vera turn to be our helper. It soothes the sunburn, gives our skin cooling effect, helps us to remove the tan and do many things. Keep the aloe vera handy in the gel form and whenever you feel like any burn just applies the gel on it. A healthy diet is all you need to follow this summer. The proper mix of fruits, vegetable, and nuts keep your skin healthy. Eat some boiled vegetables in the morning it will keep your stomach happy in summer. Everyone like to glow in the harsh summer but getting that glow on skin seems difficult. You just have to do is take some ice and gently rub it on the skin for a few minutes. After that follow your routine. It will make your skin glow. In summer our skin gets dehydrated very soon. To keep the skin hydrated we have to keep the level of ph balanced. For this, you just need to eat fruits which are rich in water like watermelons and melons. There are many Fruits for glowing skin you should start eating. Sometimes one forget to apply sunscreen and get a sunburn. To soothe the sunburn just apply an ice cube on it and wait for some time. A cover ice cube with a cloth. Do this for some time and see the results. Nowadays tanned body is in trend but it damages our skin ao badly. To treat them first take care of the tan area and make sure to wear a sunscreen every time you go out. Spray some rose water every now and then. Summers are always good to treat your skin with the goodness with some natural remedies. Whenever you get tan or want to give a cooling effect on the skin try home remedies. Maintaining hygiene give long results in summer. Having a bath twice a day will help your skin to be clean and fresh. Use some essential oils in the bath water. It will refresh your skin well. If you want to tackle the heat then wear fabrics like cotton or light fabrics. Tight clothes make skin irritated and sweaty. Whenever possible wear little loose clothes. Although while protecting our skin in summers we always forgot to protect our lips. Lips to get tan and become black which is not good. Always use a lip balm which has SPF in And also remembers to apply it first before applying lipstick and wait for 2-3 minutes. So these are some really effective tips to follow in summer and wear whatever you want to. 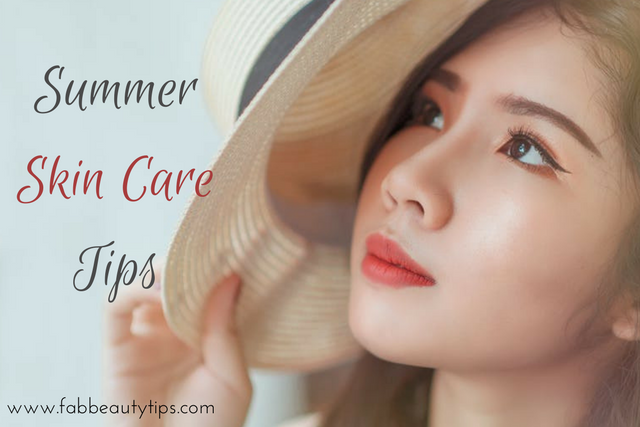 These summer skin care tips will help you to gain healthy skin too. Follow these simple summer skin care tips and protect your skin from the harsh rays and heat of the sun. This will enhance the beauty of your skin too. Get Free Skin Care Tips Every Month..! Great tips! These are the best summer skin care tips. I really like this article so much. Thanks and keep sharing. Great tips, hydration and rich fruits is something I have been focussing on, but I see that my son is having charred lips as he plays out . Have been trying some home remedies for it. Aloe Vera is magical be it any skin type or season. It has shown great effect on my oily and acne prone skin. Thanks for all the tips. Very useful. Great tips for this season, I love to use aloevera gel as it gives cooling effect to my skin… Lovely post. 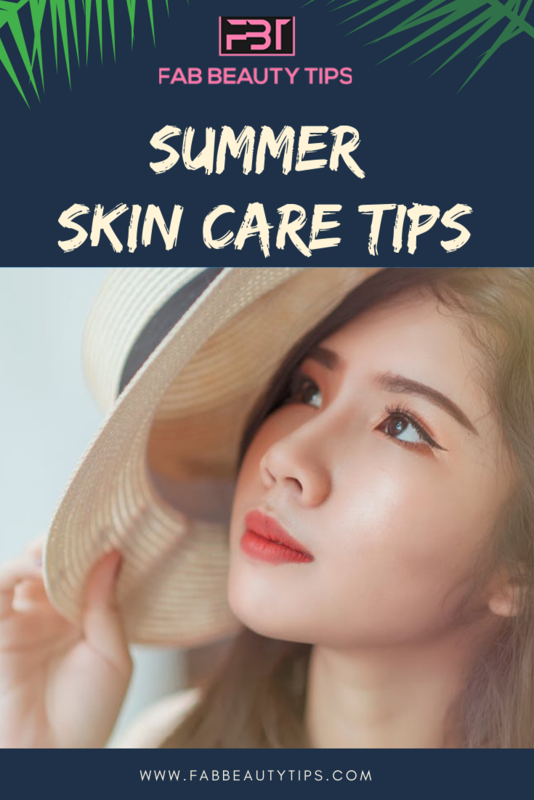 All points are very important.. Definitely will follow this one for smooty skin..
Wow these amazing tips are really very helpful for the summer. I love to apply sunscreen and aloevera gel on my skin. They are amazing tips and I can vouch as I follow most of them that tehy are awsome and gives you a perfect result. Summer is already hitting the city and we are in need of such amazing tips to beat the heat. Amazing and beautiful tips for the summers to glow. These tips helps us to beat the scorching heat and looks refreshing. Hydrating our skin is the most important thing to do in summer ! Specially for someone with dry skin for me ! These are some amazing tips that’ll help everyone ! These tips are really necessary for summer… Thanks for sharing with us.